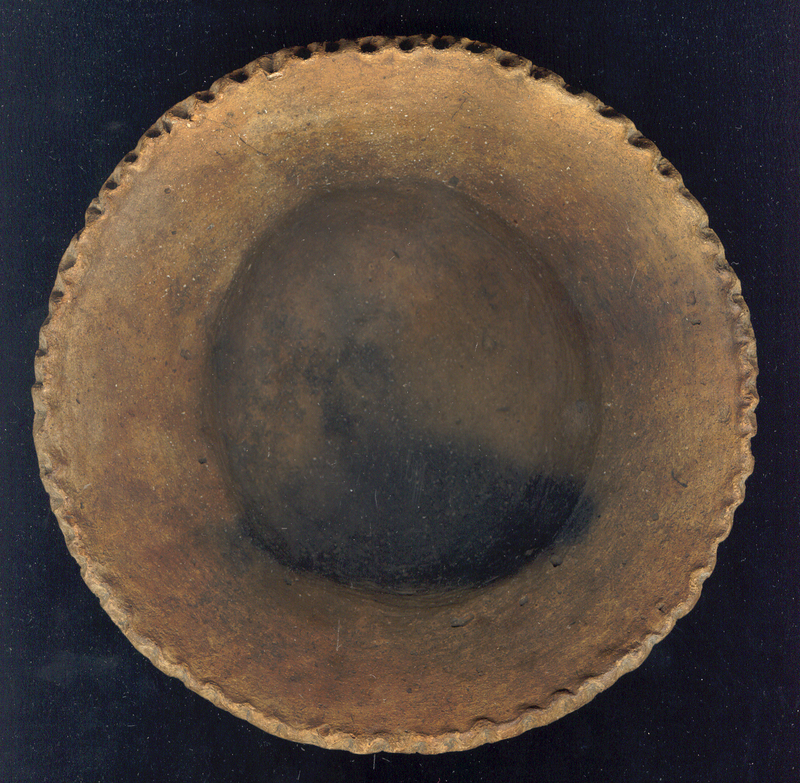 A Medium Size, Well Made, Pie Crust Rim Style Quapaw Bowl That Exhibits Surface Coloration And Clay Aging Patina, Aged Clay Pore Soil Deposits, Aged Surface Shell Grog Deterioration, Correct Open Pit Firing,Visible Aged Bottom Wear, Aging In The Rim Indentions, Correct Visible Aged Firemarks, Correct Handle Wear, Correct Material And Manufacture For The Area Found. Found In The Carden Bottoms Area. Ex-Jim Bennett Collection. This Is A Highly Collectable, Solid Condition Bowl! Includes A Ken Partain Certificate Of Authenticity!